Waste wood is a precious resource that is available in large volumes and may be used either for material recycling or energy production, depending on the quality grade. 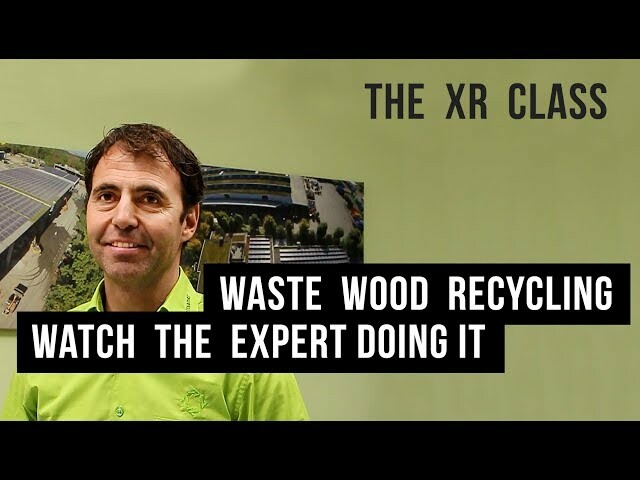 The rising cost of waste material disposal and a growing consciousness for the environment also contribute to the increasing importance of waste wood recycling. The term “waste wood” includes all woods and wood-based materials that have come to the end of their product lifespan and are thus considered waste. We offer you innovative, highly economical single-step shredding concepts for the recovery of your waste wood, upon request also with metal separation. Units are available as stationary or mobile versions. Low operating costs, extremely low fines and foreign object protection paired with high performance are the key factors in the success of UNTHA waste wood shredders. Minimised dust and noise levels benefit your employees, your neighbours – and ultimately also the environment! During the recovery process, the waste wood is shredded and separated from foreign matter such as metal parts. The resulting wood chips are either recycled or utilised for energy production, depending on their classification grade. Recycled waste wood is often used as raw material for the production of chipboard or other wood-based materials. In case of thermal utilisation, the wood chips are used as high-grade fuel in biomass or thermal power stations. We offer reliable shredders with a throughput of up to 40 t/h for waste wood recovery. Our units are suitable for a wide range of applications. Demolition wood includes all timber from interior and exterior fittings, constructional timber and all sorts of mixed ranges. Our innovative XR waste wood shredder is particularly well-adapted for the shredding of waste and demolition wood. Impure timber from construction sites is no problem at all for our shredding solutions. Thanks to its hard-facing, the rotor is particularly resistant towards abrasive materials, making it suitable for the processing of beams, boards, formwork, treated solid wood or mixed ranges. 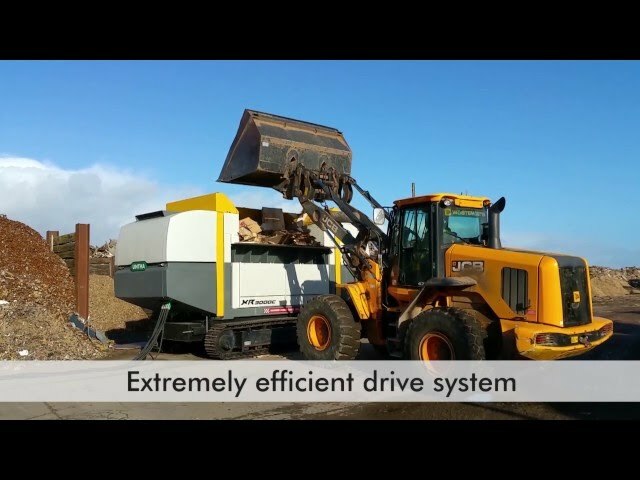 Our machines are also suitable for highly sophisticated applications such as the shredding of root stock, driftwood, green waste and waste wood from gardening and landscaping applications. The efficient removal of foreign matter reduces downtime to an absolute minimum. Our waste wood grinders will certainly “make a meal” out of sorted wood from bulky waste. Even unwieldy parts will easily fit into the large hopper and will be reliably captured and shredded by the rotor teeth. Whether we are talking about pallets, shipping crates, fruit crates or even cable reels – we have the right shredder for you, depending on your volumes and required throughput capacity.